Flayosc stands on a small hill surrounded by vineyards, oak forests and olive trees roughly halfway between the scenic splendours of the Gorges du Verdon and the popular Cote d'Azur - hence it is well placed to explore this part of Provence while avoiding some of the congestion of these popular regions. 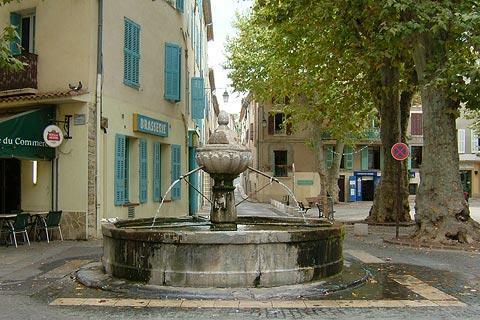 The village is situated between Draguignan and Lorgues (each around seven kilometres distant). 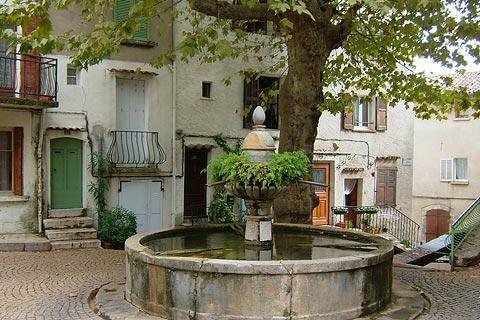 Flayosc is a pretty medieval village that is less touristic than many of the villages in the region. The small village is on a raised rocky hill (altitude 300 metres) and is centred around its traditional church, which is surrounded by a circle of medieval houses that formed the original defences for the village. 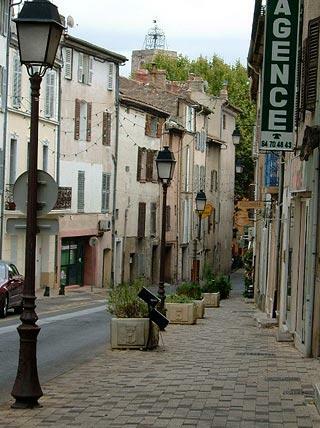 France This Way comment: if you follow the Chemin de la Colle, on the hill about 300 metres south-west of the historic centre, you get a lovely global view across the village that allows you to better appreciate the medieval layout of Flayosc. 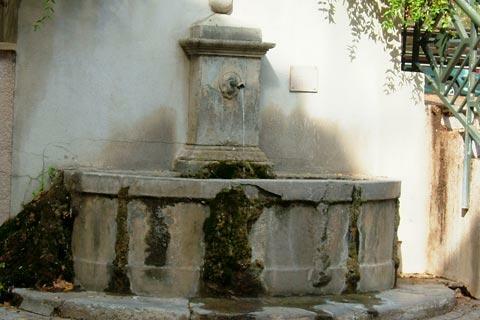 The historical centre of this typical Provencal town has narrow streets opening onto small squares, sometimes with decorative fountains or unusual architectural feature to catch your eye, that make Flayosc a very pleasant place place to visit at as you explore the region. In the centre of Flayosc you can visit the Church of Saint-Laurent. Originally built as a chapel in the 12th century, very little remains of the original building and the chuch you see today is a result of rebuilding and modifications in the 16th - 18th centuries.The belltower of the church features an attractive wrought iron campanile, and from the church the views across the vineyards are very attractive and stretch as far as the massif de l'esterel far to the south. The countryside around Flayosc also contains several small chapels as well as natural highlights: ask for details of suggested walks in the Flayosc Tourist Office on Place Pied Bari. In the Cotes de Provence wine region, and north into the Upper Var, there is a cluster of villages and towns to explore in the vicinity of Flayosc including Entrecasteaux, Lorgues, Tourtour and Aups among others. 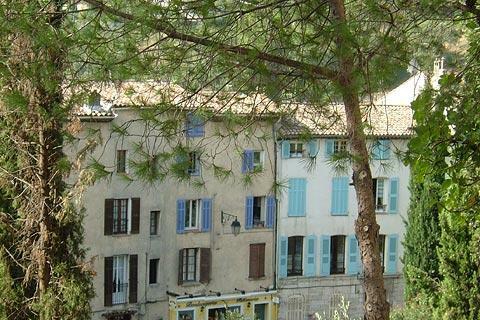 This part of Provence is les visited than some and preserves an authentic provençal atmosphere. Of course, most visitors to the region will also take trip to the north to see the Gorges du Verdon, and east for a day or two on the beaches of the French Riviera.